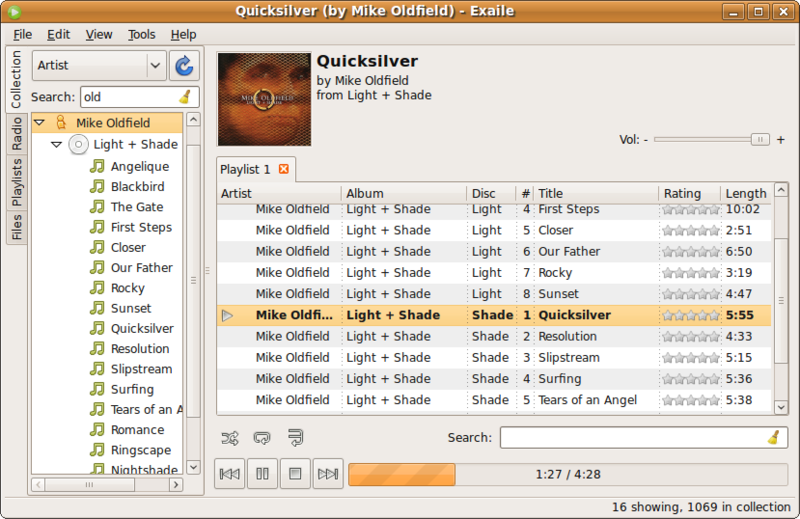 There’s this album by Mike Oldfield called Light + Shade that consists of two CDs labelled Light and Shade instead of 1 and 2. Now, the album title and the way the CDs are ordered inside the case make it obvious which comes after which, but I wondered what would happen if I tagged the discs with their non-numeric IDs. Turns out it just works. This entry was posted in All and tagged exaile on 2009-07-21 by Johannes Sasongko.